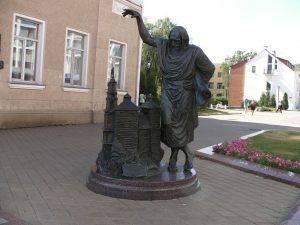 The monument was erected on the plan of sculptor Vladimir Zhbanov in 2007. 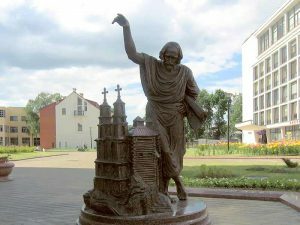 The sculpture embodies the architectural development of Minsk: from wooden buildings to monumental buildings. In the center of the memorable composition is an architect with a roll of blueprints under his arm. He looks down on the city and wonders over his buildings. Symbolize the architecture of Minsk from different eras – the gate of a wooden castle (XII century), the Bernardine church (XVII century) and the building of the Bolshoi Opera and Ballet Theater erected before the war. 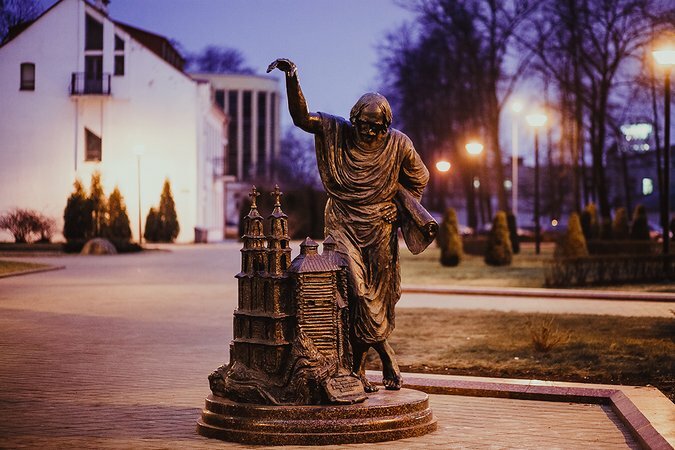 The architect is depicted in the master’s posture, because everyone knows that architecture is the mother of the arts. 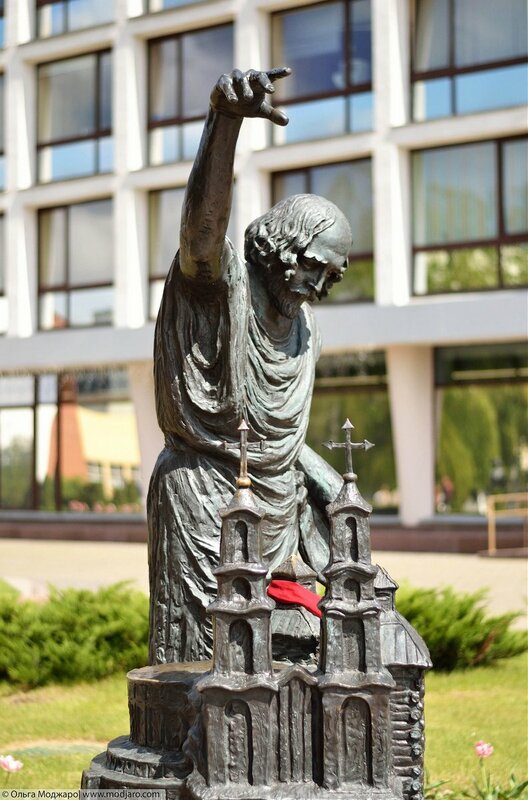 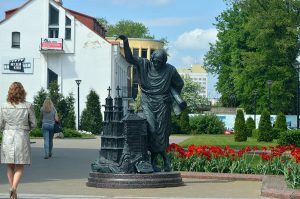 The monument was erected at the expense of the Minsk company “Elvira” in honor of the 940th anniversary of the Belarusian capital.